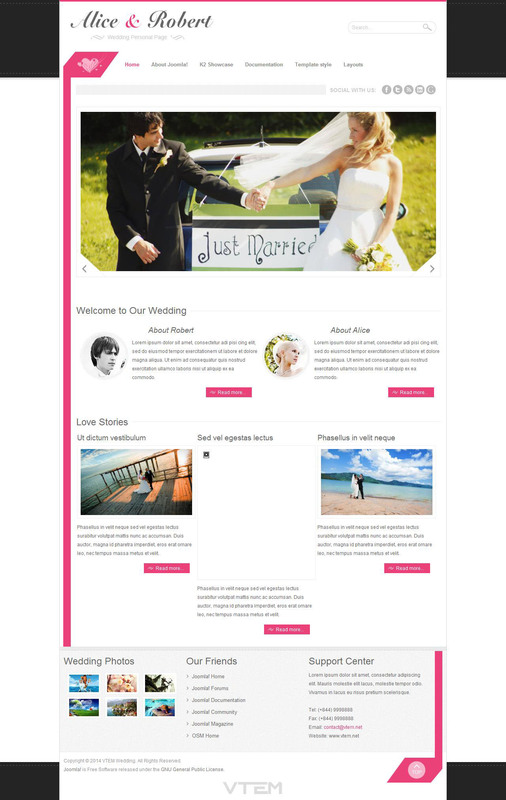 VT Wedding - Template Joomla, designed to simplify the creation of websites dedicated to holiday themes. Template creator by the group of designers studio Vtem. Template design is made ​​primarily in bright colors, but other than basic setup that developers and designers presented four color settings. The composition also includes a template component K2, 35 module positions page and optimized code, allows you to open the pages load even internet user channel. Use this template are created mainly sites that promote or provide services for design and maintenance of various holiday events.